Scribblings of the Metropolitician: Booyah! Soyeon's Going to Space! Booyah! Soyeon's Going to Space! 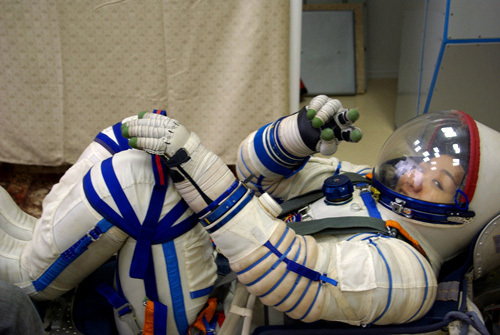 The news that the Russkies have forced a switch of people going into space just made my week. Regular readers of this blog know that we've always been in Soyeon's camp, ever since she made the final 300 and we decided to do interviews with her. Soyeon's a friend of a friend who went to Berkeley at the same time I did, and I thought her an impressive human being far before anyone started talking about space. 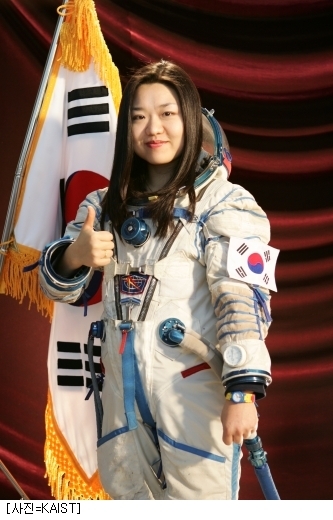 But as the process and our interviews progressed, I got a wee bit sad because I had always felt Soyeon to be far more qualified to go, from the fact that she aced all the physical tests to the obvious fact that she has a sparkling personality and the professional attitude to really REPRESENT in space. Ko San always struck me as sullen and awkward in front of the cameras, as if he didn't want to even be there. It always perplexed me that he got picked, knowing what seemed obvious to everyone. I always thought that the fact he was a Samsung man (that company being responsible for 17% of the GDP, or so I hear) didn't hurt. Soyeon's going and I believe that the best "man" has finally won. Booyah! And if you get to know her --just a little bit, even -- through these interviews, you can see why she really deserves to go. I always like rooting for the underdog, but she really should have never been under in the first place. Part 3, which I planned to do in April, will get upped sooner. I was originally planning it as a bit poignant sendup for Soyeon, since she said some pretty cool things about the possibility of not being picked, but now, I think it makes sense to get that out sooner, rather than later. Because now, it's a party!